Deportment was established in 1954 on a faculty department`s of surgery sanitary gigienic and pediatric specialties. Since 2004 the surgery department chares by Professor Ibadildin A.S. The field of study projects witch this department maintains is immensely wide. There are a science projects development as well it includes cardiovascular surgery, portal vein hypertension and acute abdomen. On this base was created a school of surgeries. Now days the surgery department of surgical diseases keep th3s traditions levant to rapidly changing progress in science and surgical practice. Today the amount of teachers counts people among them: doctors of medical science -4, medical science candidates 6. Our doctors professors and assistants are proudly representing Kazakh Medical University on surgical Congresses, and practical Conferences. In the year 2009 our University organized a meeting called on which were represented a mater3al for The day of KazNMU Conference on the problems of “Peritonitis”. Our deportment Took a pert in “vise world Congresses of surgeon’s – Hepatologis “. Among the practice and teaching woks we on publishing issues realizing our science potential in order to create new doctors recourses teachers. For the first time an independent course of tuberculosis was organized in 1935 (Order № 109 of October 23, 1935) and «as an exemplary teacher and a researcher for the post of Lecturer was nominated Baigurin Alzhan Mahmudovich. He had a good command of the literary and scientific Kazakh and Russian, and was published in two languages. Education and highly regarded performance of the young scientist highly valued in the medical school, but in 1938 he was arrested and died. He fully rehabilitated in 1956. Tuberculosis Department of the Kazakh National Medical University was organized November 12, 1941 by order of the Committee on Higher Education SNK on November 4, 1941 № 137.
since 2002 — MD, Professor Rakisheva Anar Saduakasovna. Currently, the department has: Head — Professor A. Rakisheva, Academician T. Muminov, Honored Scientist Prof. RK KM Maskeev; MD, NA Beysebaev; Accusative Professors: BS Dyusenbekov, NS Syzdykova, BT. 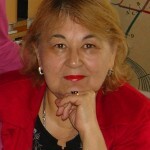 Kumisbaeva, SS.Salimova, LSh.Kasenova, FA Iskakova, AG Isayeva; assistants — candidate of medical sciences: VV Shatskikh, CH T. Nurkabaev, GU.Esetova, GS Erkenova, UT Makulbaeva; assistants: GA Auelbekova, SK Zhumabayeva, JM Dautova, N.R.Seythanova; trainees- teachers Y Kostyukevich, GD Algazieva; residents AJ Abubakirov, GD Ryskulov; Senior Assistant AH Ishingalieva, Assistant G.Bayzhanova. They are active in teaching and educational process, and also in the international scientific life, make presentations and communications at international congresses and symposia, published in foreign journals. The training process are used active learning methods, such as small group work, the method of «round table», «brainstorming», an analysis of a critical situation. 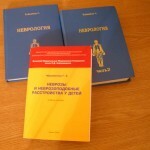 To increase the effectiveness of the educational process is applied teaching computer science — the using of new capabilities of information technology such as electronic books — «International standards of diagnosis and treatment of tuberculosis,» clinical and radiographic atlas Muminov T. «Pulmonary tuberculosis and its differential diagnosis,» videos, some of which are established teachers of the department, «Tutorial radiographs demonstrating various clinical forms of tuberculosis on a compact disk CD», «Prevention of Tuberculosis in Children», «Microscopy of acid-fast bacilli», «Asthma — global strategy. «»COPD — diagnosis and treatment», «Thoracoscopy — diagnosis and treatment,» which improves the absorption of practical skills, improves the quality and level of knowledge. All members of the department were trained on «Innovative Technologies in Medical Education» for «evidence-based medicine», «Computer Literacy». The Department is also involved in postgraduate professional development of physicians on Phthisiology, training medical interns GPs, internists, pediatricians and residents. Scientific advances implemented in the city, region and different regions of Kazakhstan. Over the last year received 2 patents for inventions and published two articles in peer-reviewed journals. Educational and clinical bases of Phthisiopulmonology Department are: National Centre of Problems Tuberculosis and AOA RK MSD Railway Hospital. Patriotic student conference on the Afghan soldiers (2/17/12). The main objectives of the department were and still are — improving the educational process by optimizing and intensifying training methods, the development and introduction of efficient methods for the diagnosis, treatment and prevention of tuberculosis and nonspecific lung diseases, as well as training of the research -teaching staff. 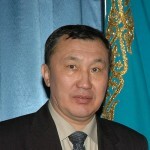 The course of allergology was established by the order (№ 45 of 08.09.2011 years) Rector KazNMU them. SD Asfendiyarov. The staff of the course consists of 2 doctors of sciences, five assistants, two laboratory assistants. The head of the course since its organization is a Doctor of Medical Sciences, Professor — Ispaeva Janat Bahitovna. Ispaeva Bahitovna Janat — MD, Professor, Chief freelance children’s allergist MH RK. Author of 150 publications, 10 methodical recommendations on major issues of allergy and a textbook on children’s allergy in the official language. Holder of eleven international conference «Asthma and Allergies» with the participation of leading experts and abroad in the field of allergy with worldwide reputations. Director and coordinator of the national scientific and practical programs for asthma, allergic rhinitis and atopic dermatitis (1999, 2004, 2005, 2007). Drawn up in accordance with international recommendations of GINA, ARIA, ICCAD. Member of the European Academy of Allergology and Clinical Immunology (EAACI) in 1997 — WAO (World Congress of allergological). A member of the State Certification Commission for the Designation of medical categories. She was awarded the badge «Kazakstan Respublikasy densaulyқ saktau іsіnің үzdіgі.» Repeatedly awarded a diploma KazNMU them. SD Asfendiyarov KazNMU and a silver medal dedicated to the 80th anniversary. In the course of allergy at the moment there are three clinical sites. The department of surgical diseases No. 1 (former faculty) is formed in 1933г. Professor Ilya Simovich Bakkal (1878) — the graduate of the Leningrad army medical academy was appointed the first head of the department. Since 1951 chair the honored worker of a science, the professor heads ended Odessa medical institute. A.B. Rayz was the permanent head of the department within 25 years. He created own school of surgeons. Among them prominent surgeons of the country — academician M.A.Aliyev, professors A.A.Suleymenov, N.I.Voldko, E.A.Apsatarov, N.S.Almukhambetova, K.I.Ibrayev, M.S.Sabitov, K.T.Kaliyev’s assistant professors, and etc. In 1966г. from chair of faculty surgery the chair of surgical diseases of stomatologic faculty which was headed by student A.B.Rayz, the remarkable surgeon, the scientist and the teacher of prof. A.A.Suleymenov gemmated. 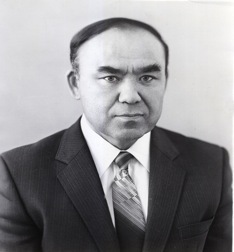 and then prof. Sh.N.Abdullaev (1985-1995). All of them brought the contribution in chair development. In 1995 to a position of the head of the department on competition the academician of academy of preventive medicine, was selected the doctor of medical sciences, professor A.Zh. Nurmakov. A.Zh. Nurmakov has ended the Karaganda state medical institute in 1965. Labour activity of the beginnings in rural local hospital. 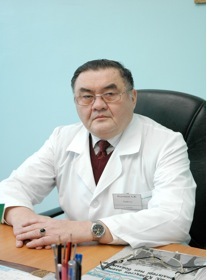 In 1967-71 is the aspirant of chair of surgical diseases АGMI (nowadays KazNMU of S.D.Asfendijarov). In 1971 after protection of the candidate dissertation he has been left by the assistant to chair, and in 1976 is selected the senior lecturer of the given chair. Since 1995 on competition has been selected as head of department and till now heads chair. He was selected by the full member of Academy of preventive medicine RК (1996), the full member of Association of surgeons of N.I.Pirogov of the UNDS (1997). A.Z. Nurmakov the author more than 140 scientific works. 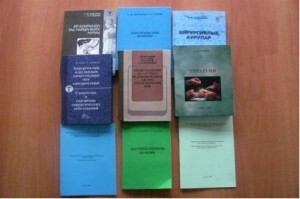 From them 5 monographies, 4 textbooks and some manuals, published in the kazakh and russian languages. He’s a member of the Academic council, chairman НППК on surgical disciplines, a member of terminological committee at MH RK, editorial board groups on medicine of the encyclopedia «Kazakhstan», etc. From 1995 till the present on chair came capable youth Bajmahanov A.N., Kaliaskarov E.Sh., Nurmakov D.A., Ahmedzhanova G. A. which have protected candidate dissertations, became senior lecturers of chair. 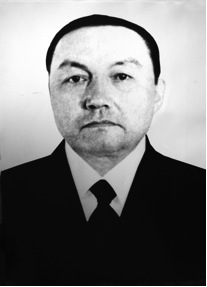 Kaliaskarov E.Sh. and Nurmakov D.A. senior lecturers protected doctor’s dissertation in 2010. On chair candidate dissertation in a state language for the first time have been protected (Bajmahanov A.N. and the citizen from the Peoples Republic of China by Zhasan Zekej). Zh. Zekej, nowadays the citizen of Republic Kazakhstan, is the recognized expert in east medicine. In December, 2009 the medal and a cloak of the honourable professor of the Viennese university is handed over it, it is selected by the academician of the International academy on east medicine. Now he heads the East Tibetan Center «Zhasay» (Almaty). A.N. 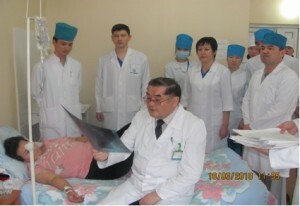 Bajmahanov the senior lecturer of chair, the skilled teacher, the surgeon. Last years on chair the perspective youth, submitting has come great expectations (c.m.s. 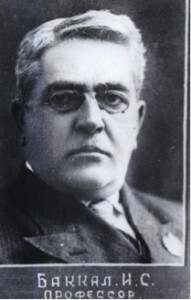 K.O.Sabirov, c.m.s. 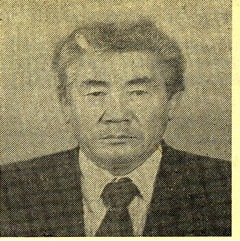 Zh.S.Alzhanova, A.Elikbayev, M. Nadyrov, E.A.Aubakirov, D.T. Dzhumataev, B.K. Mukashev). Successfully assistants Kaliyev A.K. work over the candidate dissertations and Nadyrov M. T. The main scientific subject of chair – pathogenetic bases, features of clinic, diagnostics, treatment and prevention of a surgical infection as a whole and at patients with drug addiction, in particular. The staff of chair published monographs, textbooks and manuals, methodical recommendations in the state and Russian languages, more than 200 articles and theses in editions of the near and far abroad are published. There are more than 10 patents, improvement suggestions. Scientific achievements are introduced in practical health care (patents, methodical recommendations, introduction acts). On chair students, clinical interns of all-medical, pediatric and stomatologic faculties, and also young men and girls from India, Pakistan, Japan and other countries which successfully work in the own countries. Clinical base of chair is the surgical office of CCH №4 (the main doctor-c.m.s. Amanov A.T.). The office renders the emergency and planned surgical and advisory help, mainly, to inhabitants of Zhetysu and Turksib districts of Almaty. In office all modern types of surgeries, including with use of modern technology (endovideosurgery) are carried out. In applied medicine new methods of diagnostics, treatment and prevention of a number of surgical diseases and postoperative complications supported with patents RK, introduction acts, methodical recommendations are introduced. Staff of chair at the International conference, in the center prof. Galperin E.I. and prof. Nurmakov A.Zh. 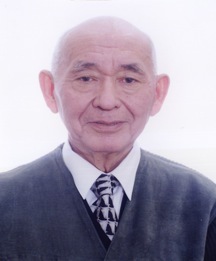 Akhmedzhanov G. A. associate professor. 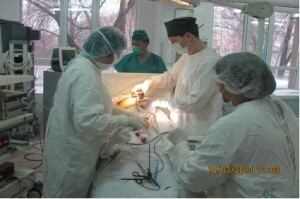 and assistant Nadyrov M. T. on operation of a laparotomichesky holetsistektomiya. In 2011-12 academic year our chair supervises 28 groups of students of the 6th course of medical faculty, of them 24 groups of the Kazakh office and 4 groups of Russian office. On the basis of the all-university plan the cathedral plan on educational work which included such works as civil and patriotic, legal and polycultural, spiritual and moral and esthetic education, and also events for anti-corruption work, for healthy lifestyle promotion were held was made. Department of Internal Diseases No. 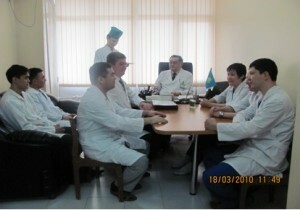 2 of Kazakh National Medical University named S.D. Asfendiyarov was founded in 2003. Head of the department is MSD, Professor Nazipa Aidargalieva, schoolgirl of the academician E.I. 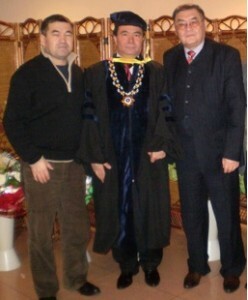 Chazov, professor N.M. Muharlyamov, and Corr. Member of Russian Academy Medical Science Yu. Belenkov. Hospital No. 7 in Almaty is the main clinical base of the founding of the Department of Internal Diseases No. 2. Hospital administration Department granted 7 classrooms for workshops with students. There is possibility to show students case patients in all offices of multi-profile hospital No. 7. Since 2003, more than 8 thousand students of Kazakh National Medical University, had been trained at the clinical base of the hospital No.7, and many of the graduates are now working in different departments of the hospital. Professors, associate professors, and Professor Assistant of the department of Internal Diseases No. 2 advise and supervise patients admitted to the hospital in planned and urgent manner. The staff members of the Department of Internal Diseases systematically accomplish consultative-diagnostic, curative and methodological work not only in the specialized field of the hospital therapeutic profile: therapeutic, departments of therapy, nephrology, hematology, endocrinology, neurology, but at intensive care, as well as all branches of surgery. Since 2003, the staff members of the Department examined and treated more than 24 thousand patients. Head of the Department, professor Nazipa Aidargalieva advises seriously ill patients, have been actively involved in the pathology-anatomic conferences, review medical records of deceased persons as well as lectures to medical personnel of the hospital. 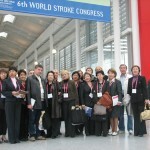 Since 2003, more than 20 scientific and practical conferences based hospital No.7. The staff members of the Department take part in commissions on police complaints and letters from patients, inter-agency disputes, as well as other administrative situations. Hospital doctors are actively involved in scientific research, followed by a joint publication in medical journals. Together with doctors office employees of faculty therapy internal medicine No. 2 has introduced innovative technologies for management of arterial hypertension and ischemic heart disease such as 24-hours monitoring of ECG and arterial pressure. Since 2003, the members of the Department of Internal Diseases No.2 implemented more than 80 contemporary methods of treatment based on international guidelines and evidence-based medicine. Professor Nazipa Aidargalieva annually approves the report of the hospital therapeutic department and participates in the annual report for the Department of Health of Almaty. Staff members of the Department are actively carried out methodological work. 15 textbooks and methodical recommendations were issued since 2003. Since its Foundation, the Department successfully carried out research on current issues in therapy. Basic direction of scientific activity of the Department is to develop and improve prevention, diagnosis, treatment, and rehabilitation of cardiovascular diseases. The scientific direction is developing new methods of prevention and treatment of ischemic heart disease, arterial hypertension, and its combination with diabetes, chronic obstructive pulmonary disease, cerebrovascular diseases and others. 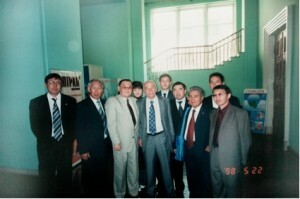 Employees of the Department were among the organizers of international congresses and conferences: in 2006 and in 2007 – the International Congresses on Gastroenterology; in 2010, the International Conference for the 80-th anniversary of Kazakh National Medical University on «Modern approaches in the treatment of coronary heart disease». Much work is being done by the Department in the regions of Kazakhstan. Since 2003, more than 50 scientific conferences on current issues in the treatment and prevention of cardiovascular diseases carry out in different regions of Kazakhstan. The results of numerous scientific works are reported on international and national conferences and meetings on various issues of internal pathology. Thanks to research on a broad sector of diseases of internal organs 2 members of the Department supported academic status of MSD on Gastroenterology and Hematology, and others 5 — PhD theses on Therapy. Head of the Department, Professor Aidargalieva over the years is an Expert Committee for control and certification in the field of science and education of RK. As a physician-cardiologist of the highest category, Member of the Presidium of the Association of cardiologists of Kazakhstan, Member of the European Heart Failure Association, MSD, Professor Aidargalieva has annually participated in the work of the European society of cardiology. Students engaged in scientific researches repeatedly participated and took Prize-winning places at the Republican and University student’s conferences. In 2007, the scientific work of student Dilnar Ashirova «The effects of beta blockage with carvedilol on kidney hemodynamic in patients with arterial hypertension combined with type 2 diabetes” received 3 place in the 3 round of student’s scientific works and awarded diploma and valuable gift. At the Republican contest of research scientific work of student Gulzhan Nigmetova «Peculiarity of heavy pneumonia among residents of Almaty» awarded a 3-third degree diploma of the Ministry of education of the Republic of Kazakhstan. Graduates of the Department work not only in Kazakhstan but also in the countries of near and far abroad.